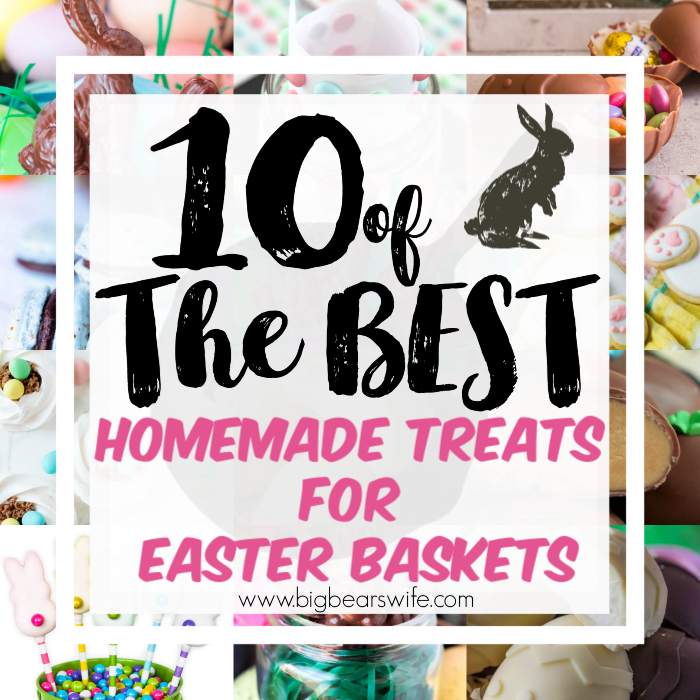 If you’re filling Easter baskets for your kids or grandchildren this year or maybe just helping the Easter Bunny with some ideas, you’ll love these Homemade Easter Basket treats! 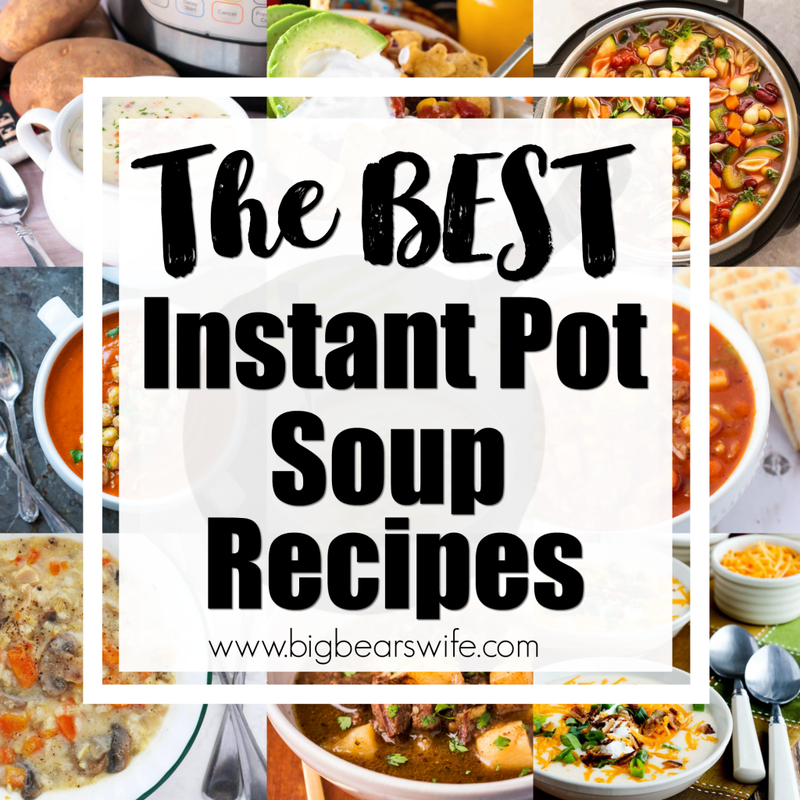 Sure, store bought Easter surprises are neat but homemade treats are even better! Fill your little one’s Easter basket with 10 of the best Homemade Treats for Easter Baskets this year! 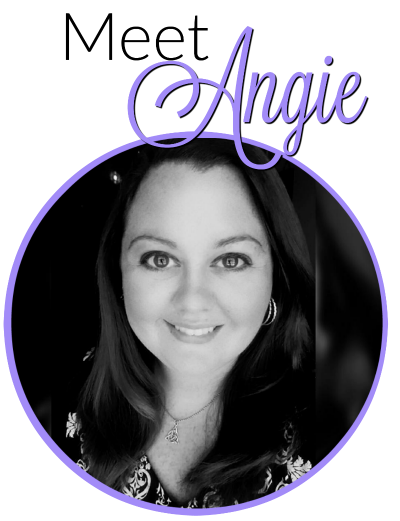 Easter morning was filled with small baskets filled with treats and the occasional plastic egg with money inside, a quick breakfast, Easter Sunday church services, lunch at my grandma’s, Easter egg hunts and another chance to open up an Easter basket with chocolate bunnies and candy. 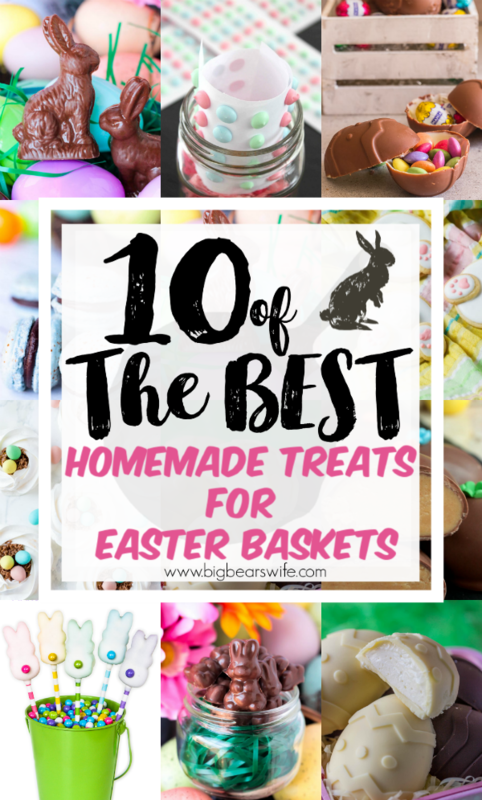 Now that I have a little one, I love helping the Easter bunny get treats ready for his Easter Basket and these are some of my favorite homemade treats for Easter Baskets! 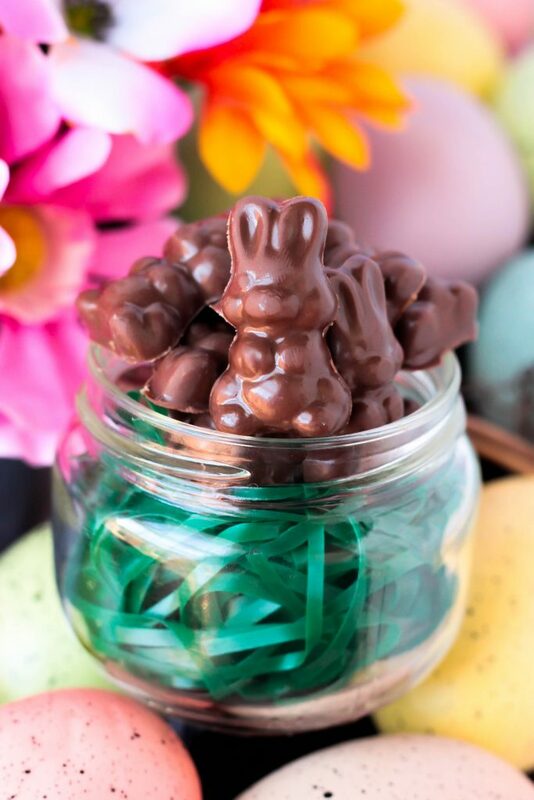 Little Homemade Chocolate Peanut Butter Rabbits are just perfect for Easter Baskets! Make them like this with a peanut butter filling, leave them hollow or make them into solid chocolate bunnies! 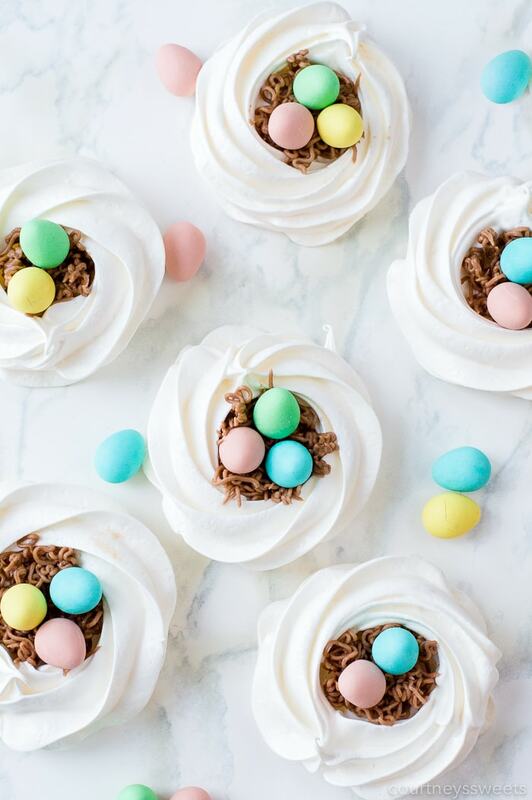 These Meringue Nests with Chocolate Easter Eggs are perfect for your next Easter party or just for fun to make as a kid-friendly dessert. Love the Chocolate Peanut Butter Eggs that churches make around Easter time? 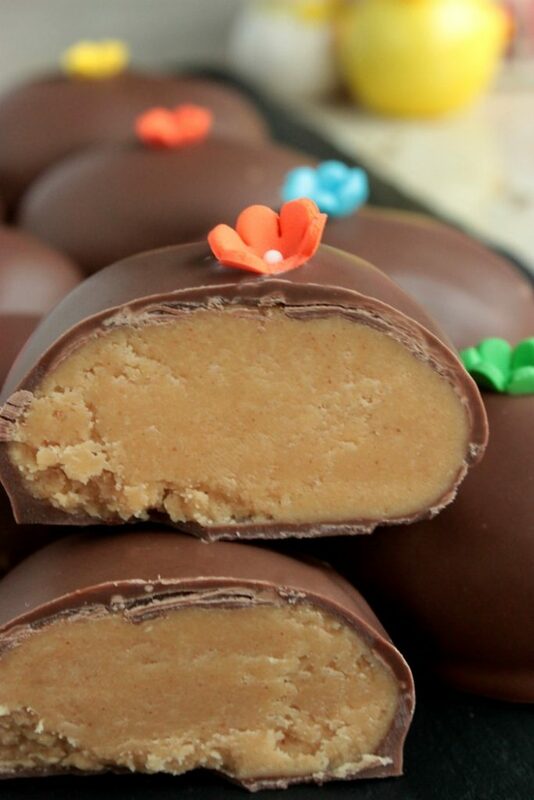 These Southern Church Peanut Butter Eggs are just like those, they’re perfect and taste amazing! 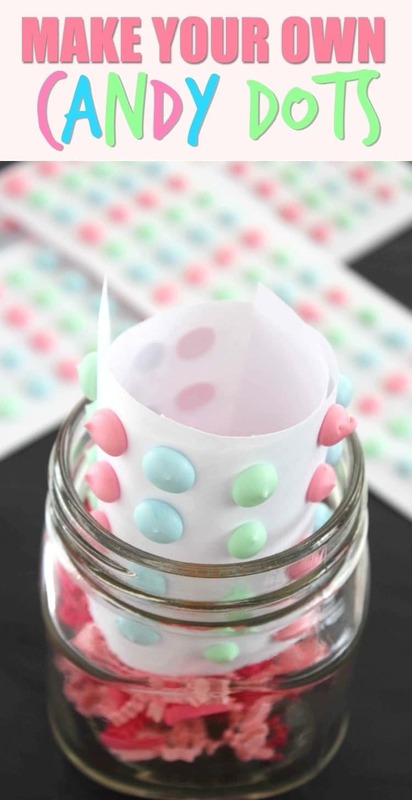 Homemade Colored Candy Dots on Paper – Easily make your own old-fashioned candy buttons for Easter with three simple ingredients. 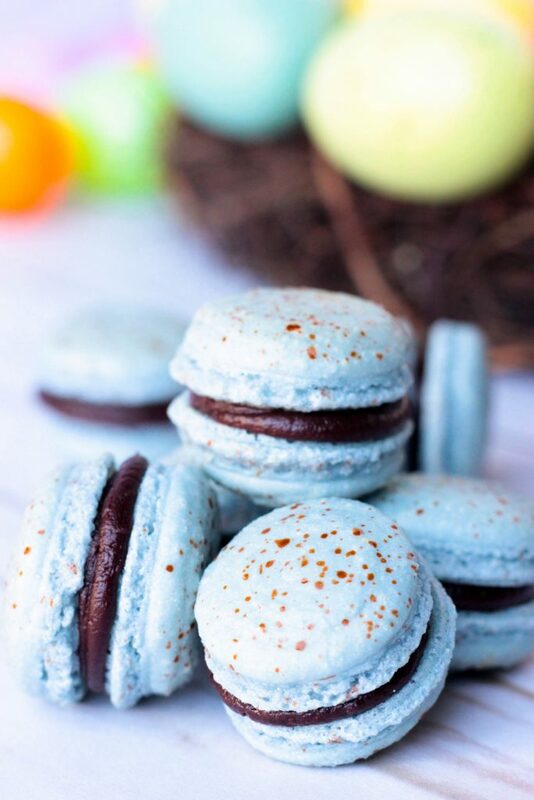 I can’t think of a more perfect Easter macarons then these Robin Egg Macarons! They’re the perfect shade of robin egg blue with cute little speckles and filled with a homemade chocolate ganache! 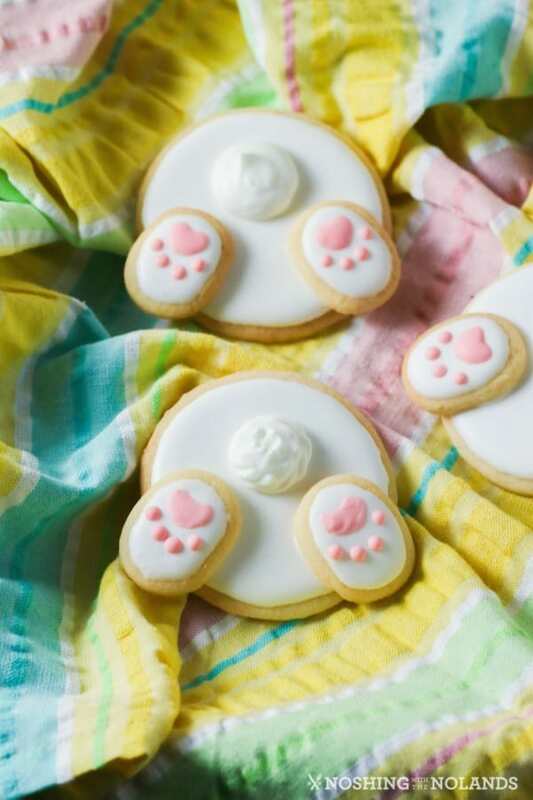 Cute little Bunny Bum Cookies will make anyone smile. 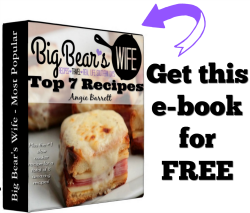 Make up a big batch and have them at the ready in the freezer now for Easter. 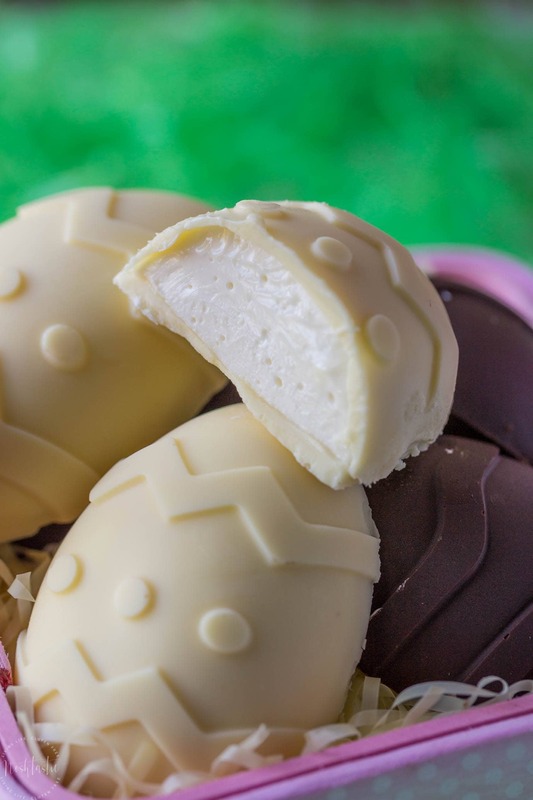 Homemade Chocolate Eggs are stuffed with Cheesecake, they are rich, delicious and a real no bake Easter treat! 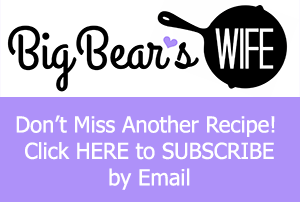 I love when a you can whip up a sweet treat quickly and easily, with very few ingredients, and it is not only simple, but it is also super cute. These Easter Peeps Pops totally fit that bill! Adorable! 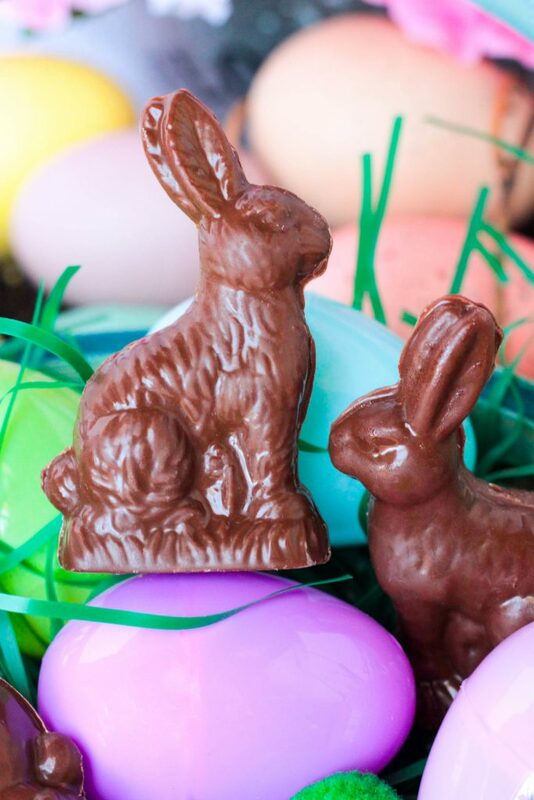 These Homemade Mini Chocolate Caramel Bunnies are really easy to make and they’re perfect for to top brownies, cakes and eclair desserts! 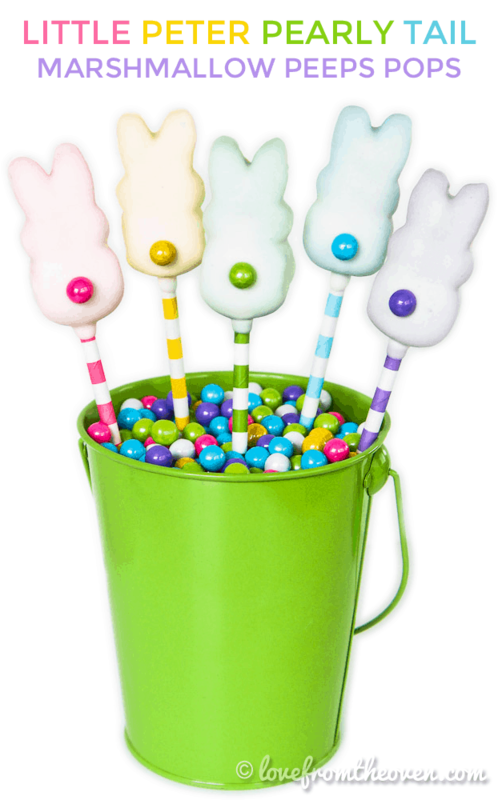 They’re also the perfect Easter/Springtime ice cream toppers! 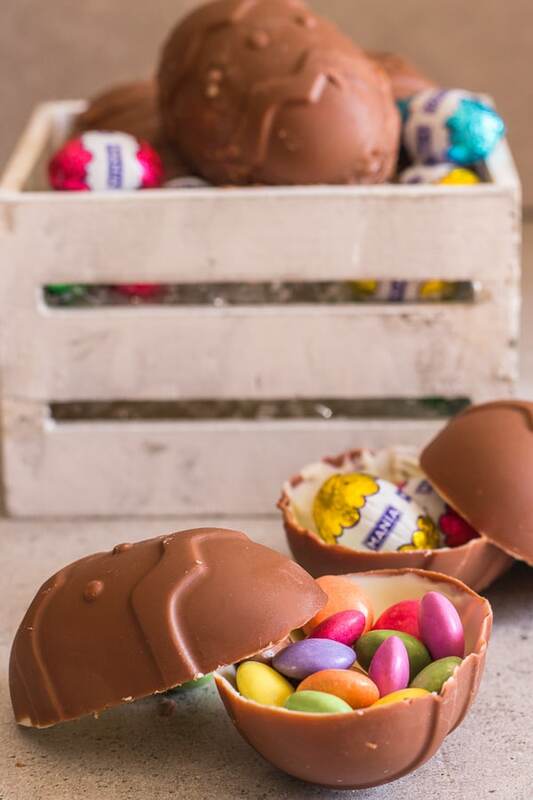 Chocolate Easter Eggs, these homemade surprise inside Easter Eggs are made with milk chocolate and white chocolate. The Perfect Easter treat!